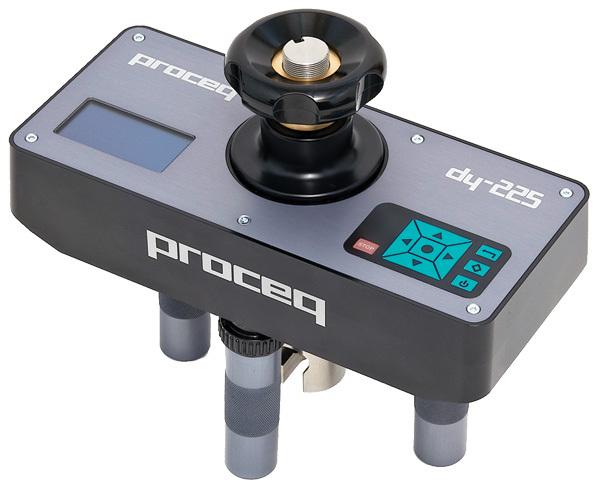 The Proceq™ DY-2 family of automated pull-off testers covers the complete range of pull-off applications with unmatched ease of operation and a unique capability to store a complete record of the test. Conforms to: EN 1542, EN 1015, EN 1348, ISO 4624, BS 1881 Part 207, ASTM D4541, ASTM C1583, ASTM D7234, ASTM D7522, ZTV-SIB 90. Additionally, most standards state an accuracy requirement. The DY-2 is calibrated according to EN ISO 7500-1 Class 1 and thereby exceeds the accuracy requirements specified in any of the standards listed above. 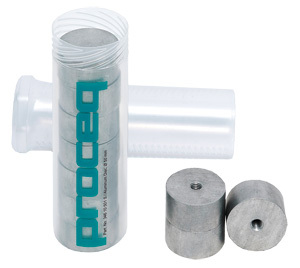 Pull-off testing is one of the most widely used test methods in the construction industry. It is indispensable for the diagnosis of structural damage to buildings as well as for checking complete renovation work. The three models of the DY-2 Family differentiate by a maximum pulling force. While DY-216 (15.5 kN, 3485 lbf) is covering most applications, DY-206 (6 kN, 1349 lbf) has an increased accuracy for low strength applications such as testing adhesive strength of mortars and renders. DY-225 (25 kN, 5620 lbf) can be used for very high strength applications such as testing of fibre reinforced polymers bonded to concrete structures or testing the bond strength of repair and overlay materials. One of the major influences on the result of a pull-off test is the operator influence in the application of a constant load rate. The newly introduced DY-2 models with their integrated, feedback controlled motors remove this variable completely, by providing a fully automated test at a constant load rate which can be verified. The DY-2 is further unique in that it records every single test parameter required by the specification: Time and date of the test, test disc size, maximum load applied, automatic calculation of bond strength, applied load rate with graphical record, complete time of test as well as the failure mode. For the very first time, the operator is able to provide a complete record of the pull-off test, proving that the test was carried out in accordance with the applicable standard. The DY-2 is further unique in that it records every single test parameter required by the specification. 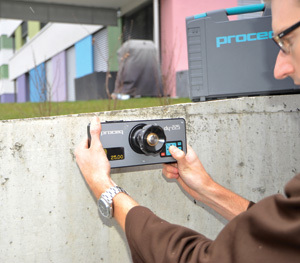 Most pull-off testing standards require the operator to record the mode of failure. DY-2 is unique in that it allows this information to be saved along with the test result. For example "B 100%" indicates a complete failure in the overlay or repair material. DY-2 provides documentary proof that the test was actually carried out with the specified load rate. The load rate curve is saved along with the test results and may be downloaded to a PC for reporting, or it may also be viewed in real time if the DY-2 is connected to a PC during the test. Depending on the application and material under test, the standards specify a wide range of test disc sizes. All units come complete with battery charger with USB cable, test disc Aluminum Ø 50mm/M10, draw bolt M10, torque screwdriver, software, operating instructions, calibration certificate and carrying case.